That's right. Spring is here - which means it's time for Spring Cleaning! Not to worry though, set aside those brushes and mops. Grab a glass of tea and get a comfortable chair. Put on your problem-solving cap, and get started. The goal: a faster, more efficient, and more reliable computer for all the work you'll be doing. Ensure sure your firewall is working correctly. Windows comes with a built-in firewall. Leave it active. Your firewall can be found by going to your Control Panel>Administrative Tools. Sometimes, they seem to turn off by themselves or programs can get into your system and control your firewall settings. Check to be sure it is active and correctly blocking harmful sites. Run Spybot or a similar spyware programs. Spybot is free, and Download.com has this to say about it: The program checks your system against a comprehensive database of adware and other system invaders. The Immunize feature blocks a plethora of uninvited Web-borne flotsam before it reaches your computer. Run Ad-aware once a week to keep malware off your computer. It has a stellar reputation and is also free (although there's an upgrade that you can pay for). Keep your antivirus software active. If you're paranoid like me, run an antivirus scan weekly to be sure nothing is missed. Empty the trash. Don't even look in it. If you haven't missed a file by now, it won't matter if you throw it out. Learn to use that program you've been promising you would. Evernote is a great example. Use it (and you won't be sorry) or delete the email from your best friend exhorting you to. Move on. Clean up your Start Button. Remove short keys you no longer use (with a right click>delete). Add those that have become daily go-to sites. Now that you've clean the internal part of your computer, it is time to have the inside components checked for dust and dirt. Dust build up can slow your computer to a crawl if not cleaned out properly. That's where Computer Corner comes in. We will clean your computer or laptop from top to bottom and rid it of dirt and dust to un-needed programs and viruses. 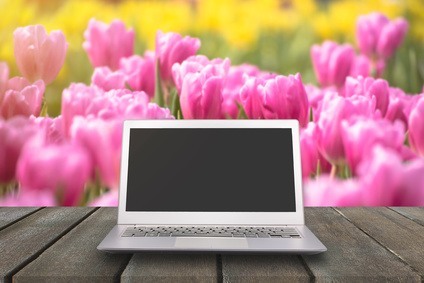 Contact Computer Corner today for a spring cleaning!